If you’re on the front page, please click to continue. 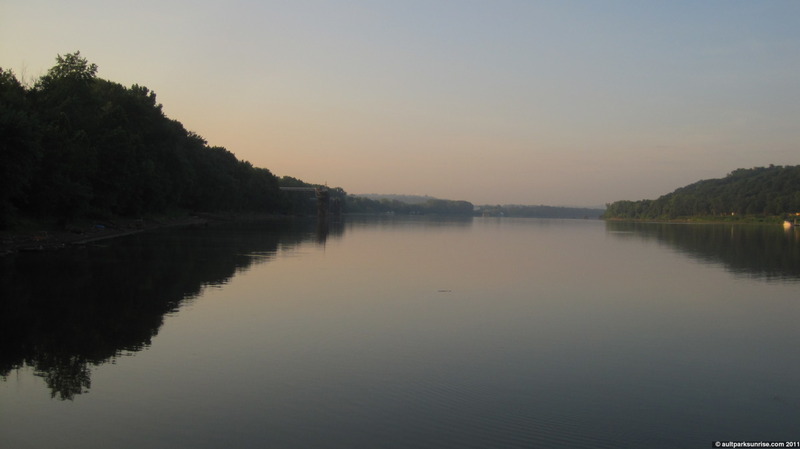 Pictures of East End, the downtown skyline, the Ohio River & Marina, and some deer. Please excuse the dark exposure. It is hard taking pictures in the shadows of the valley at dawn! 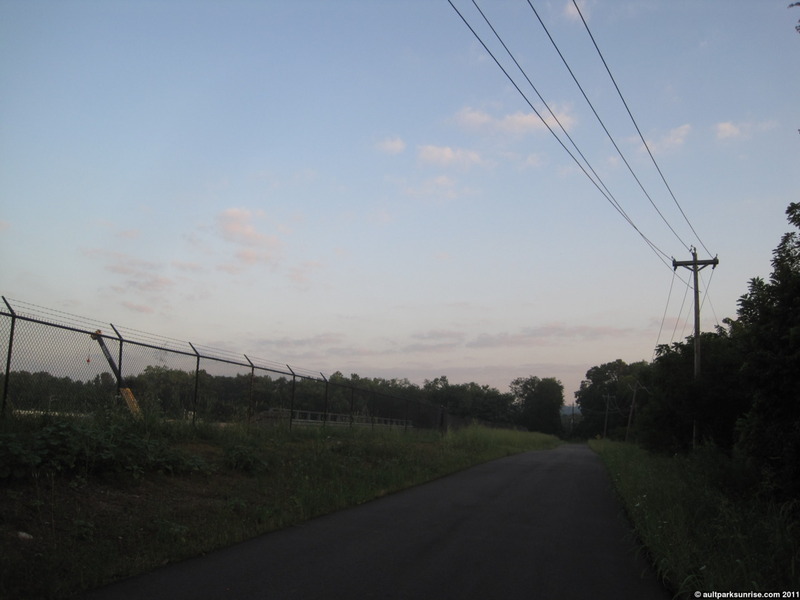 This is the wide paved Wilmer / Carrel St. trail, recently finished in Spring 2011. I felt it was important to get this picture online because the path is wide, smooth, and much appreciated. The trail used to be a rail line and it runs by an old late 1700s revolutionary war cemetery. I’ve been so impressed with the recent additions of signage and maps in the area. 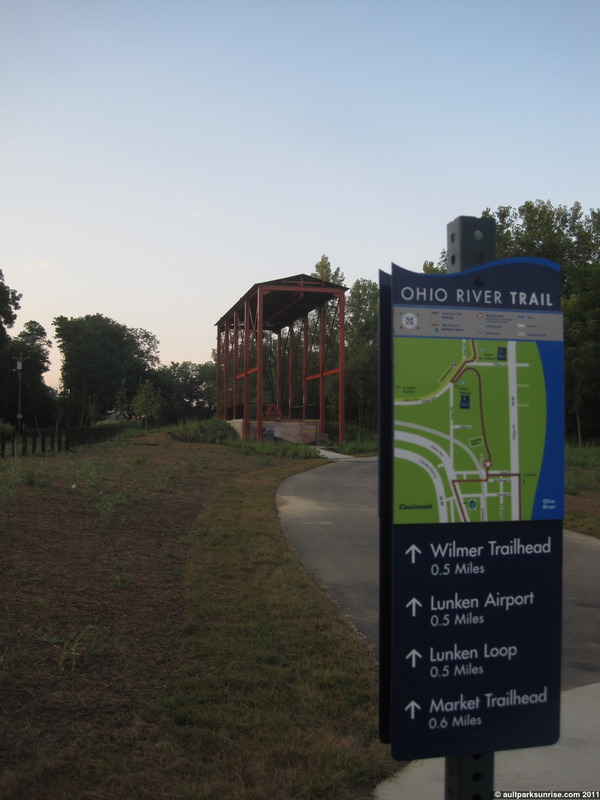 It’s all part of the Ohio River Trail project. I hope the trails and signs are able to be maintained for years to come. In the distance you can see part of the old rail system (likely some kind of cargo loader related to a defunct business that needed to move stuff between the river and the rail line). The steel structure has been painted red and exists as a historical piece of artwork. 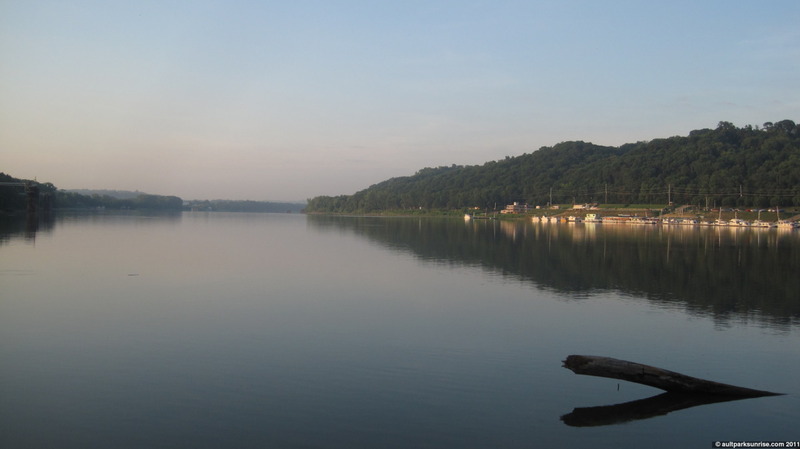 I swing by one of my favorite spots in East End – the Ohio River Launch Club. It is always so peaceful here. Today is no exception, the water is still and reflective. I even saw an individual rower out on the river getting a morning workout in. 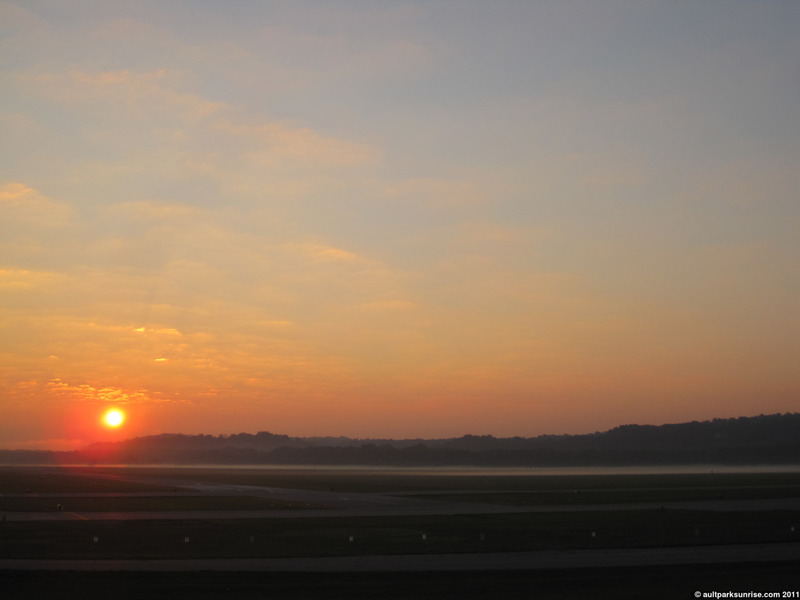 No barges this morning. 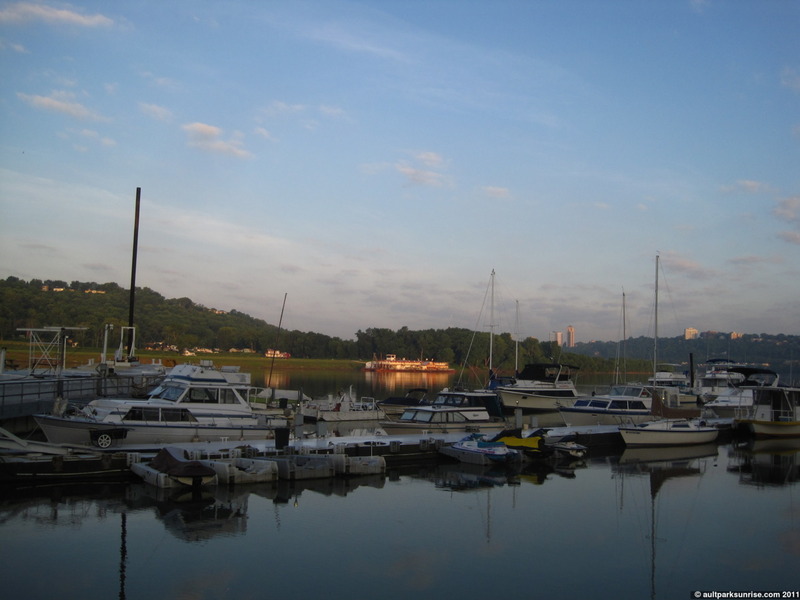 In the background you can see an old river boat being lit up by the first light of morning. I couldn’t help myself with the symmetry here. I’ve taken several previous pictures in this location. A strange picture, I know. On the right of the picture you can see two fish tails. 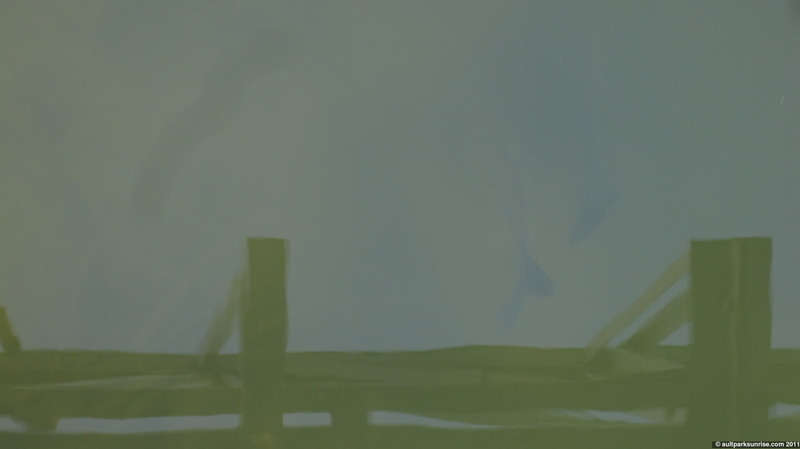 There was a school of these giant carp (like 2-3ft long) that were hanging out by the banks, rooting through the mud. Lots of fish were jumping, too, making me wish I brought my fly rod. I continue down riverside road until I get to the bend in the river. 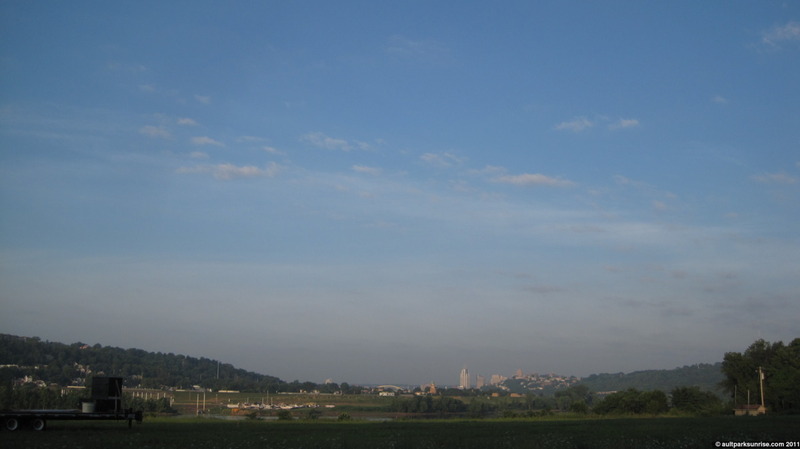 There is an open field that I walked across to get a clear shot of the skyline. 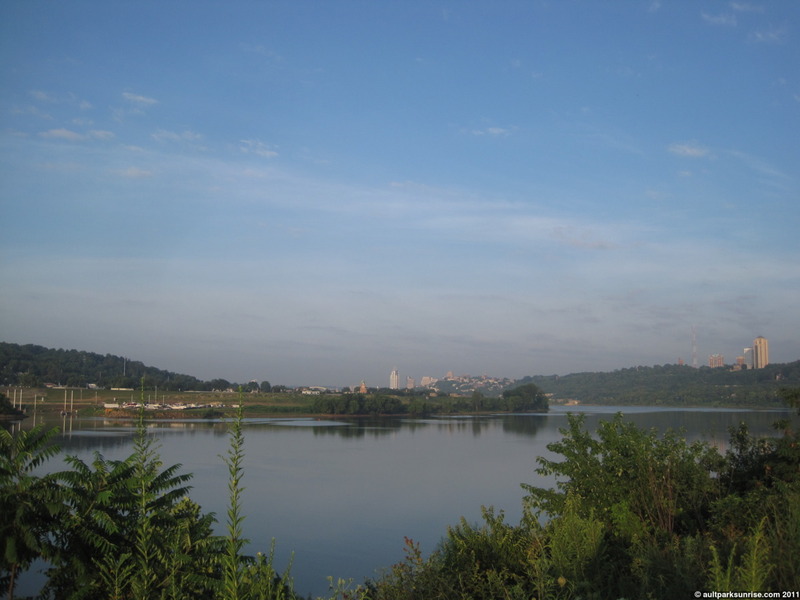 In the distance we can see the Cincinnati skyline. Interestingly enough, the field I walked across was full of fresh green growth and small bushes, but the ground was scattered with old foundation stonework. 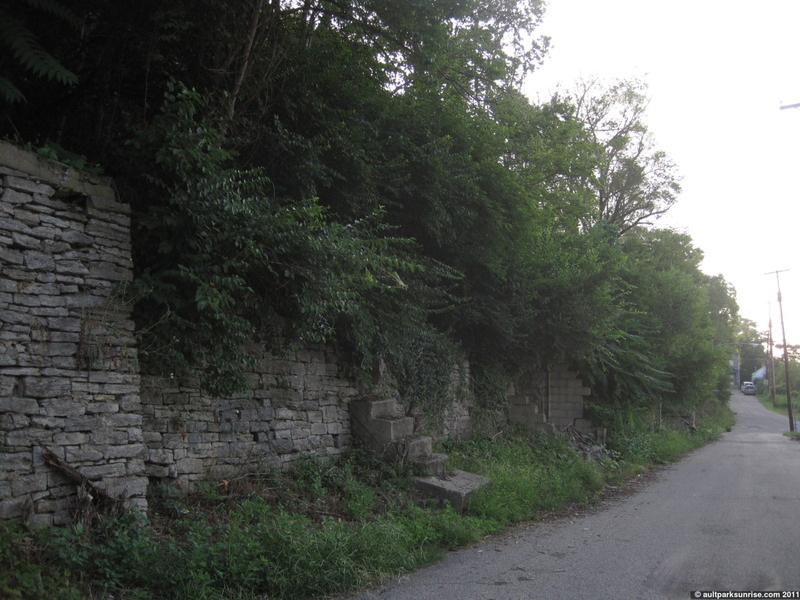 There are some of the oldest buildings in Cincinnati located in East End, and I always wonder how much has been lost to abandonment over the ages. A small church across the street on Riverside Road. Behind the church there are more foundations and support stone walls that creep up along the hill. There is even an old stone staircase that is almost unrecognizable to the left of the church. At one time I’m sure it went up the hill to allow pedestrians access to and from the steep Mt. Tusculum hills. 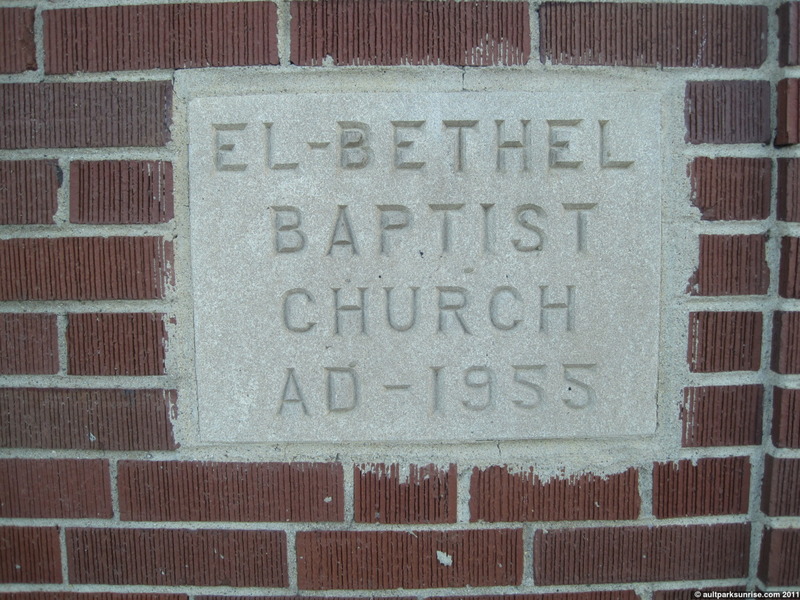 El-Bethel Baptist Church. AD-1955. Honestly I’m surprised, at first I thought it was built in 1855. 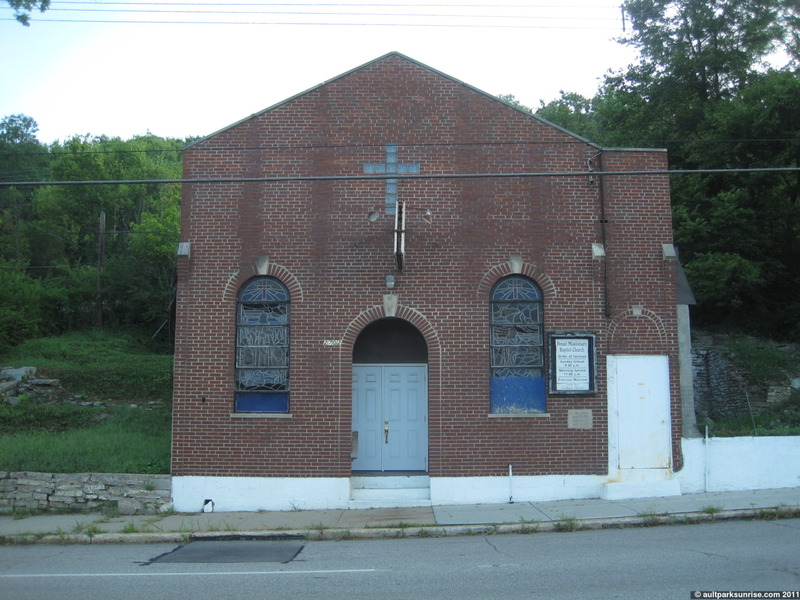 The el-bethel church is no longer in this building, although I forgot to take a picture of the signage from the existing church. El-Bethel looks like it is still around, but they’ve moved up onto Vine. The lighting was strange. The sky was bright but I was still in a shadow cast by the eastern ridge and Mt. Tusculum. 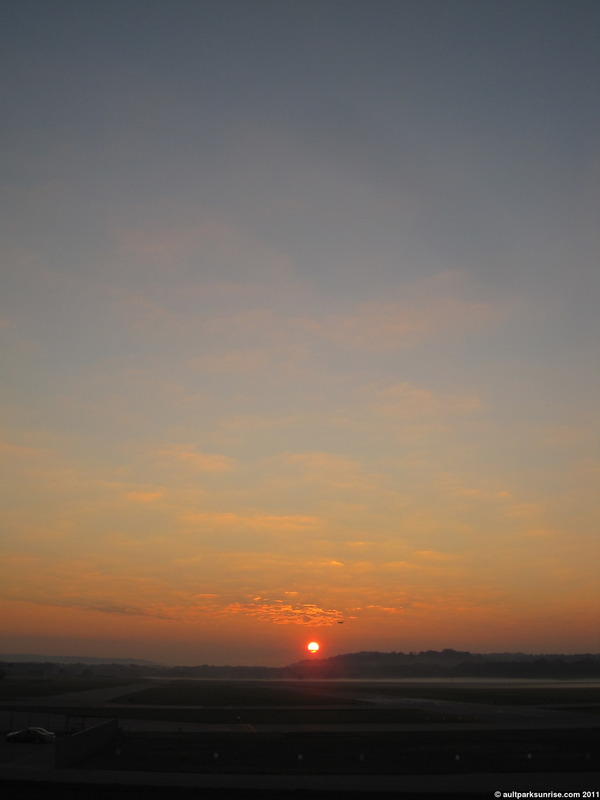 The sky was turning into a brilliant blue, though. 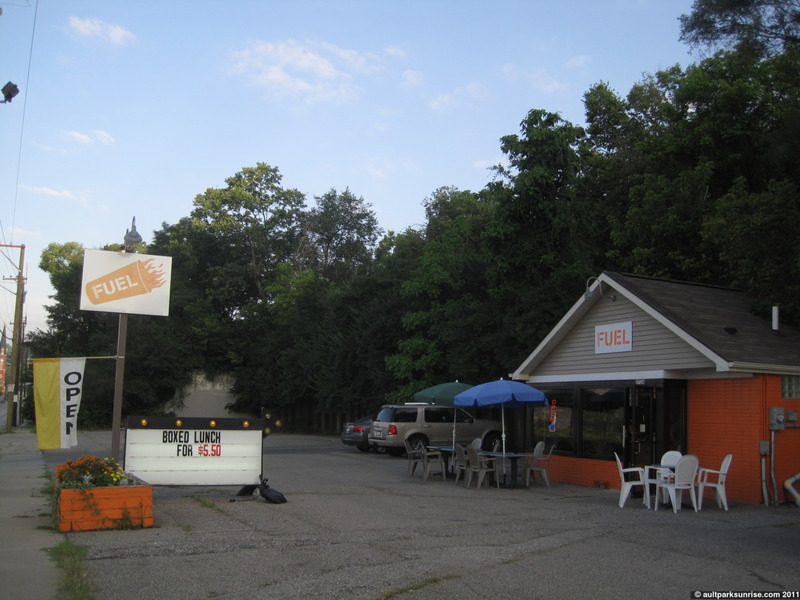 Also in the area was Fuel coffee shop. I’ve always seen it while driving by but I have never stopped in. They had a delicious home made “power bar” that I picked up for breakfast. On the weekend they have a kind of “car show” get-together, and I hear it’s a fun time. Highly recommended! The gentleman behind the bar was friendly and they had lots of stuff to choose from. They definitely cater to the commuter who chooses to take the slow route to work. Riverside is lower volume and a slower speed compared to the high-volume and faster Columbia Parkway that runs parallel. My breakfast! 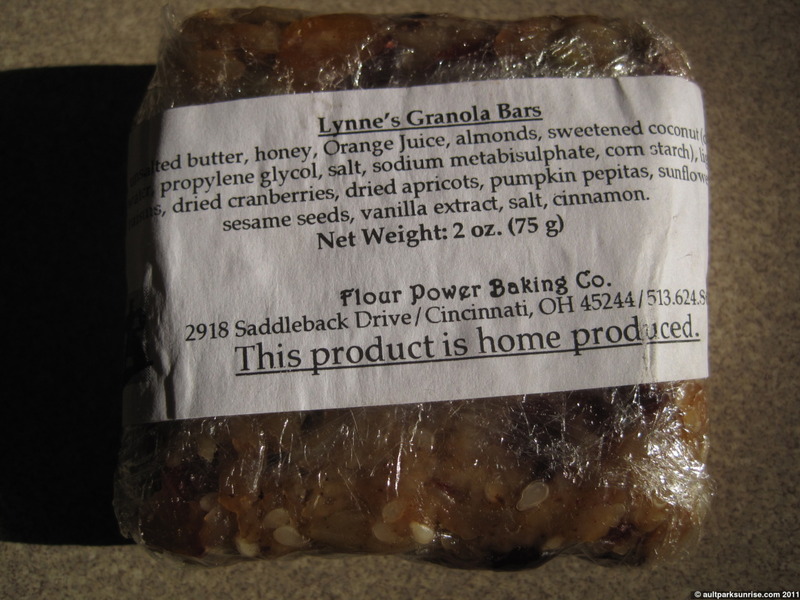 Lynne’s Granola Bar, made by Flour Power Baking Co out of Cincinnati. It was delicious! Definitely a hearty breakfast. I took a few minutes and hopped up the hill on the road behind Fuel. 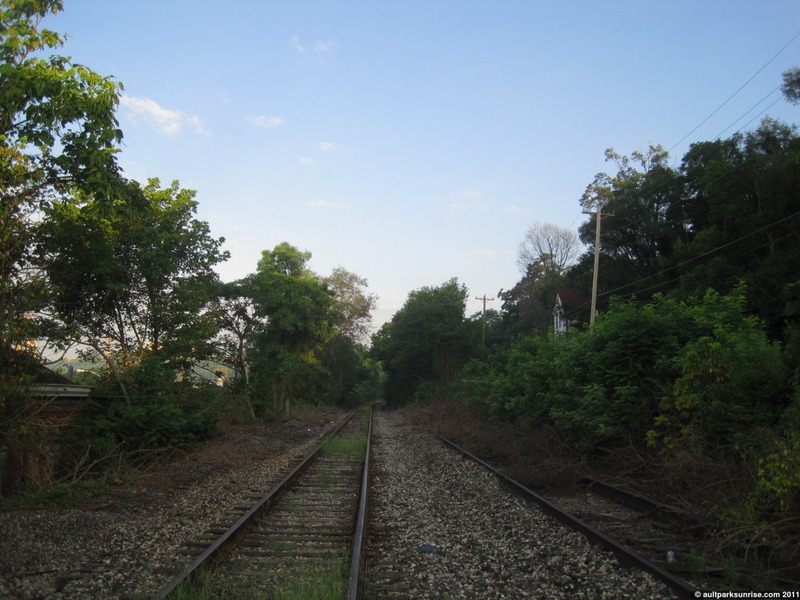 I crossed the abandoned twin rail line that runs to downtown Cincinnati and out past Lunken Airfield underneath Ault Park. 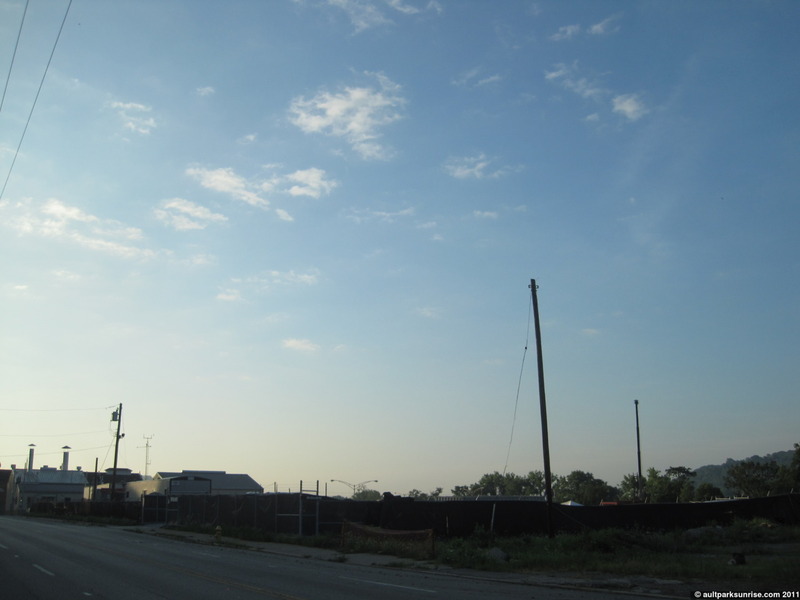 Eventually, with some hope and good vibrations, this will be a paved bike trail that connects the Little Miami Bike Trail to Downtown Cincinnati through the Ohio River Trail System. One of the strange and fascinating things about this part of East End is how many old foundations there are nestled into the hill side that have since been taken over by the forest. Lots of stair cases that go into the forest and disappear into a mix of heavy foliage and cement piles. I ended up talking with a couple who were sitting on their porch enjoying a morning coffee. I couldn’t believe my eyes when I turned around and saw their view. They basically had a perfect view downriver of Downtown Cincinnati from their porch. They told me that there used to be a full blown neighborhood on this road, but now only about 10 homes remain in the area. They only moved in last year so they didn’t know why the homes were torn down, but there was a gentleman who still lives across the street from them who has pictures from the early 1950s of the street when it was full of homes. What happened here? From here I packed it all up and booked it straight into work. On the way I saw several deer. One of them, on Delta Ave, was being chased out of a garden by the home owner. The other three I saw as I was coming up Stewart Ave. There is a decently sized patch of forest here but up on the hill is I-71. 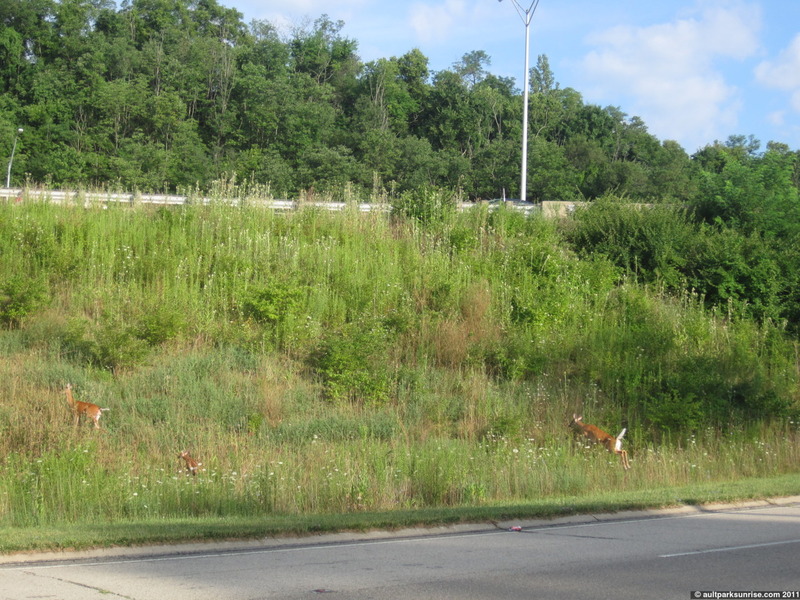 It’s amazing we don’t see more deer on the side of the road around here. They were curious about why I stopped to take a picture, but soon went on their way. A young doe and her two fawns. 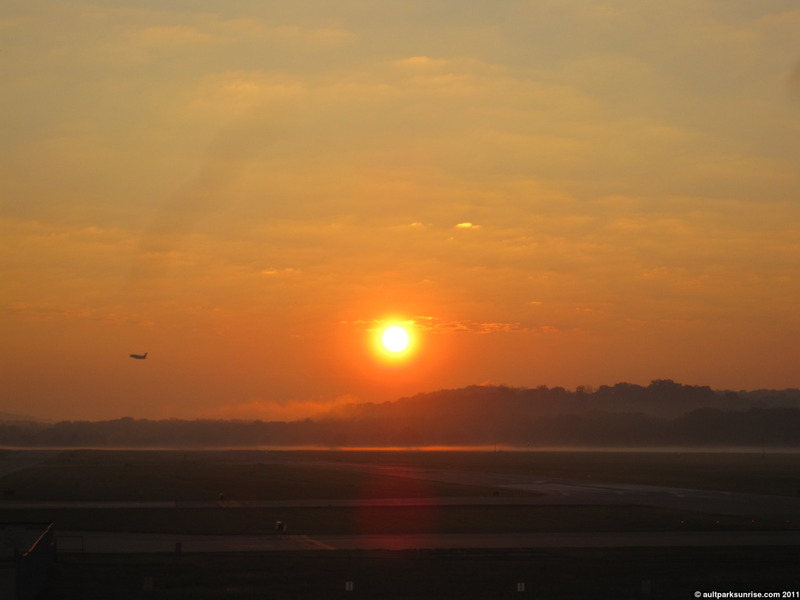 This entry was posted on August 4, 2011 by Ault Park Sunrise. 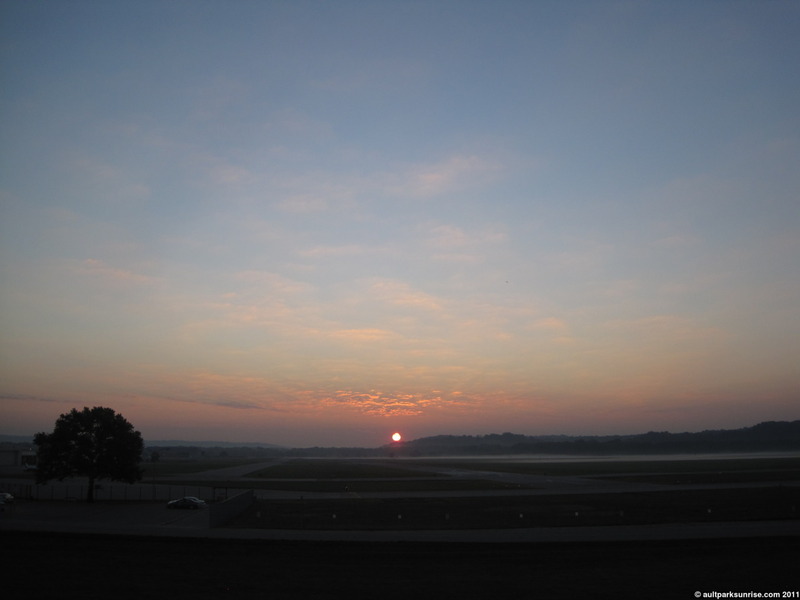 It was filed under clear skies, lunken, sunrise and was tagged with cincinnati, deer, east end, lunken airfield, marina, ohio river.